I love shortbread and these cookies are no exception. 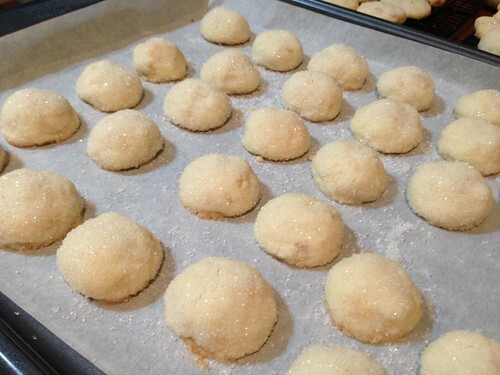 I found the original recipe, Hazelnut Shortbread Cookies, on dianasdesserts.com in 2006 and have been making them ever since, though I use macadamia nuts. 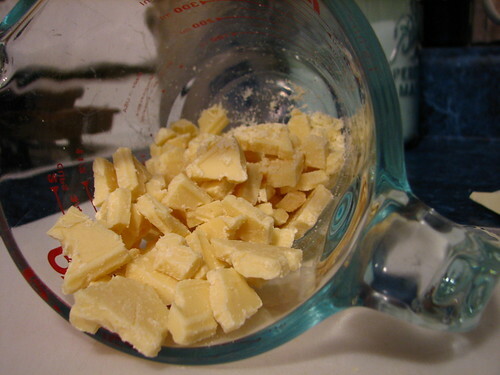 Also, I like to add white chocolate, which the original recipe did not call for. Combine flour, corn starch and powdered sugar in a mixing large bowl. Blend in butter. 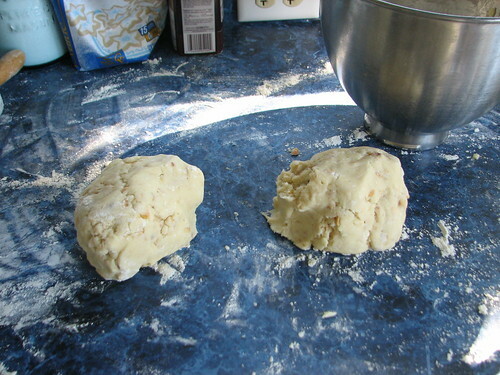 Mix until a soft, smooth dough forms. 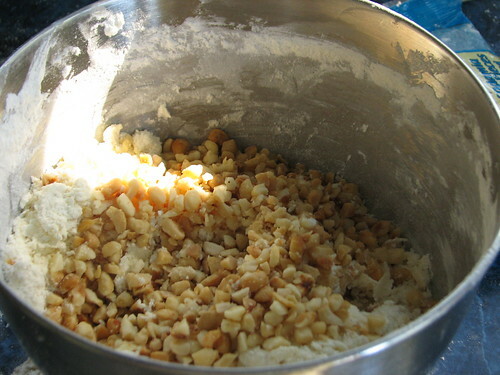 Add the nuts and chocolate chunks and mix until well combined. To chip my own chocolate, I use this vintage chocolate chipper I found years ago. Makes easy work of the job. Similar chippers are available on amazon.com. 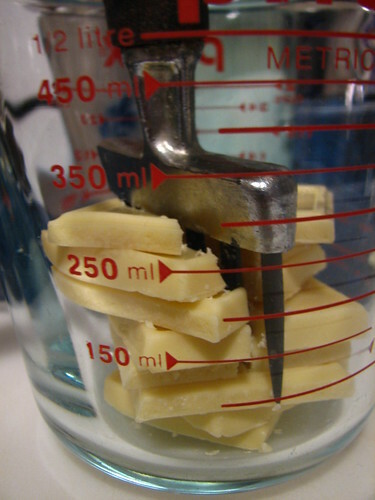 Place the chocolate squares in a tall container and use the chipper to break them into smaller pieces. You can make them any size you like. 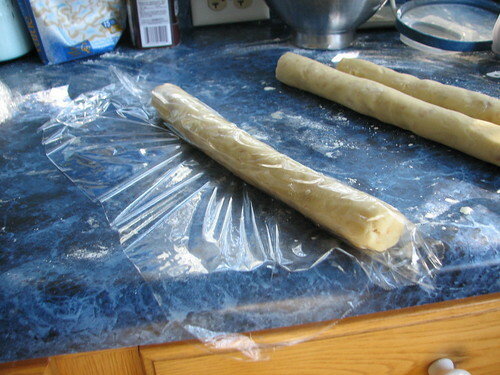 I double the recipe, so I divide the dough. 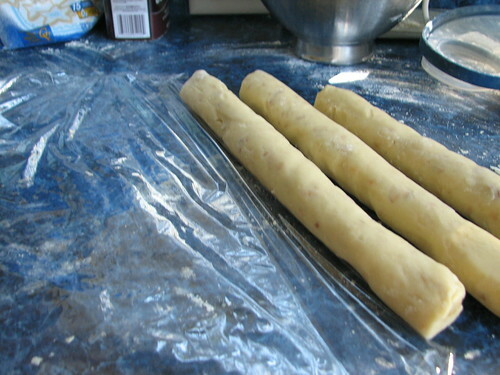 Shape the dough into a smooth roll, about 1 1/2 inches in diameter. Wrap and chill until firm. About 4 hours or overnight. Roll can be stored in the refrigerator up to a month. 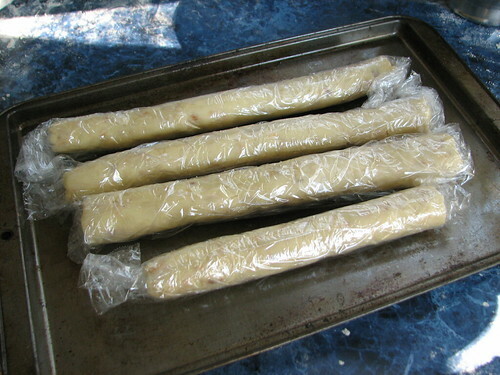 I like to make the rolls as long as a baking pan for easy storage in the refrigerator. This pan held these plus one more long roll from a doubled recipe. Cut with a sharp knife into thin slices. Place on an ungreased baking sheet. 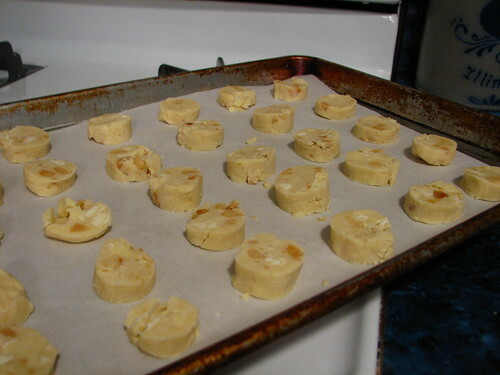 The cookies can be placed very close on the baking sheet as they do not spread much. This pan has 30 cookies on it, but I could get 35 on it easily. 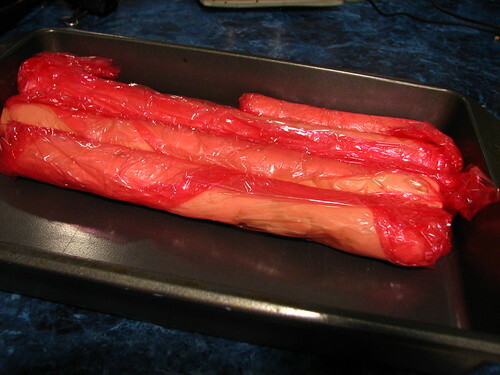 Bake at 375* (190*C) for 8-12 minutes, or until edges are lightly browned. Transfer to wire rack to cool. The original recipe says it makes about 3 dozen cookies. I double the recipe and get 8-9 dozen cookies. 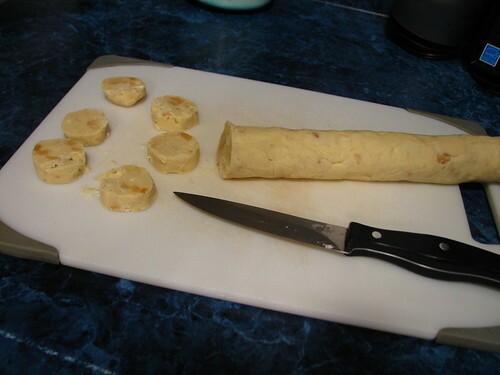 It depends on how round the roll is and how thin the cookies are sliced for baking. I can get 35 cookies to a cookie sheet. They don’t spread much while baking. Edit: In 2013 I used this alternative method for baking the cookies. 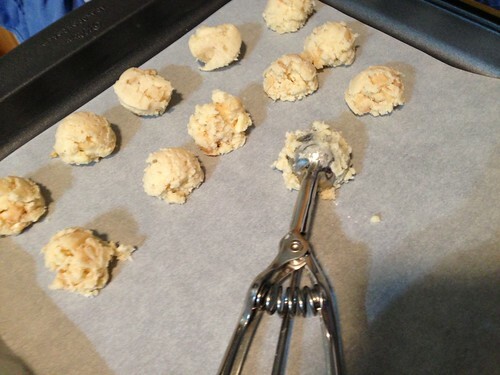 After the dough is fully formed, use a small cookie scoop to place the dough on a parchment lined cookie sheet. No refrigeration needed. 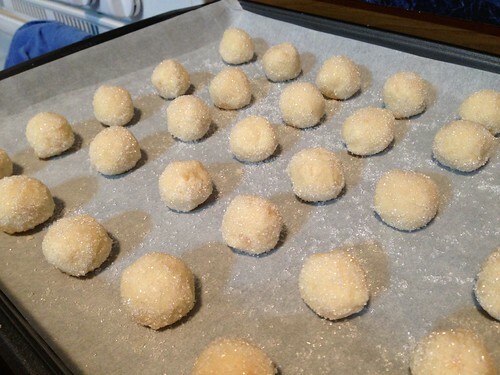 After scooping the dough, roll each piece in the palms of your hands to make a smooth ball. Roll in white sanding sugar, if desired. Place on cookie sheet. A bit more festive in their sparkling sugar coats, don’t you think? 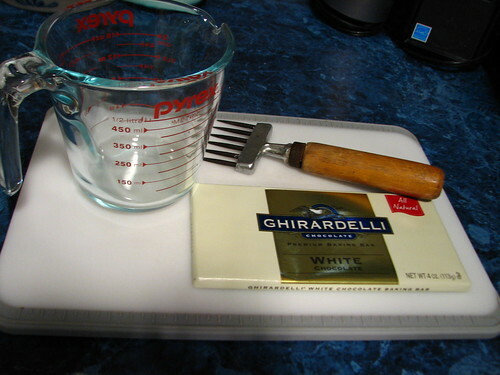 This entry was written by ~~Rhonda, posted on October 28, 2012 at 10:04 pm, filed under Christmas, cooking, Recipes. Bookmark the permalink. Follow any comments here with the RSS feed for this post. Post a comment or leave a trackback: Trackback URL. This recipe is perfect for Christmas dessert. It’s so easy to make. Very efficient when you have guests over as well. Thanks for sharing the recipe. 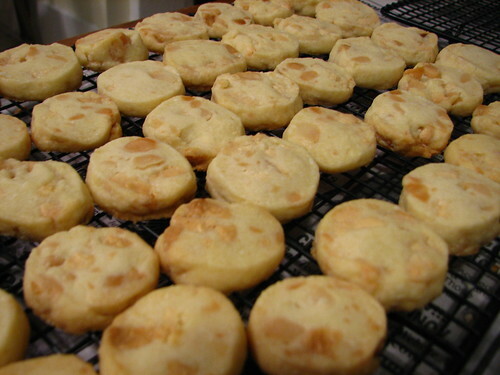 DO U KNOW HOW TO MAKE THE FLAKY EASY TO FALL APART THICK SHORTBREAD COOKIES? ?